The key to making nice scallops is a very hot skillet. Cast-iron is preferred, but any heavy skillet would do as well. If your skillet is not hot enough, liquid will accumulate and you will not get a nice sear on the scallops. If this happens, you can try discarding the liquid and then continuing to cook. Also, do not overcook scallops! You can test for doneness by gently poking with your finger. They should be slightly firm and resistant, but not too hard. If they give in easily then they are not done yet. 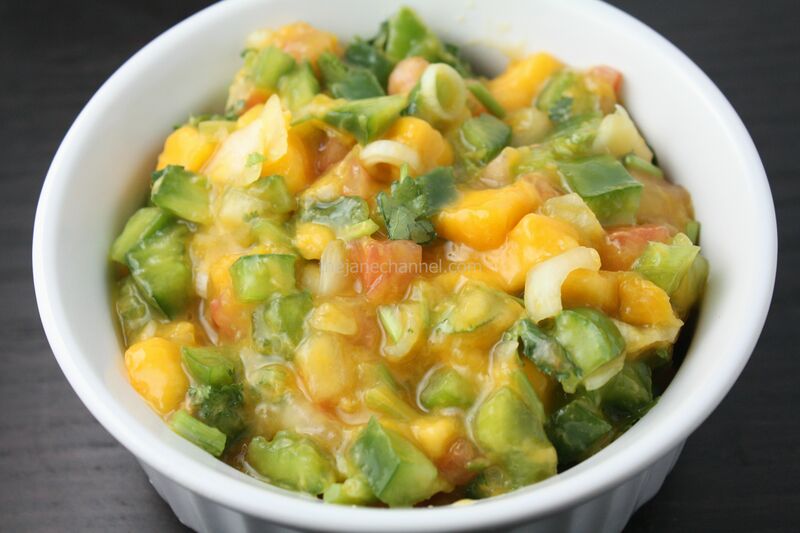 In a small bowl, mix all mango salsa ingredients together. Cover and allow to sit for at least 30 minutes before serving. Pat scallops dry with paper towels. Heat oil in a skillet over medium-high heat. Sprinkle scallops evenly with pepper and salt. Add scallops to pan, cook 3 minutes on each side or until done. 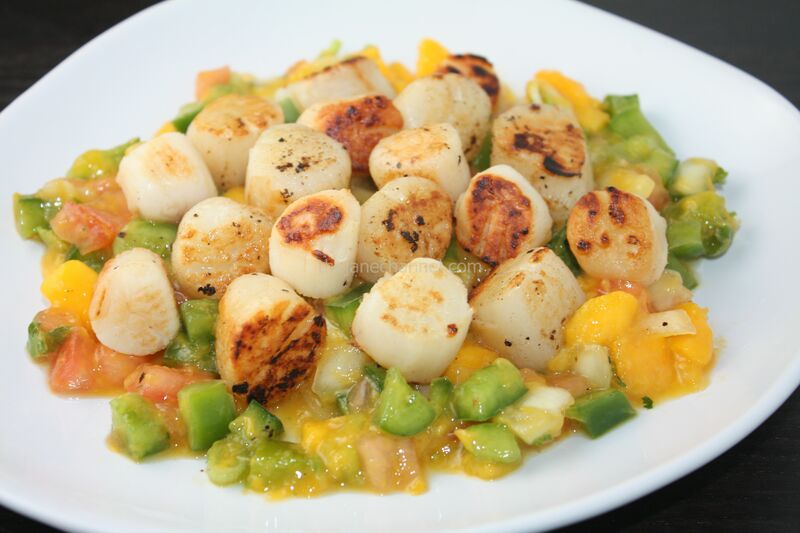 Place scallops on top of mango salsa.